Mangaluru, June 6,2017 : The government which is conspiring to ban the beedi industry on the grounds that tobacco products are hazardous, has at the same time pushing the over 2 crore beedi workers into deep trouble without making any alternate arrangement for them. 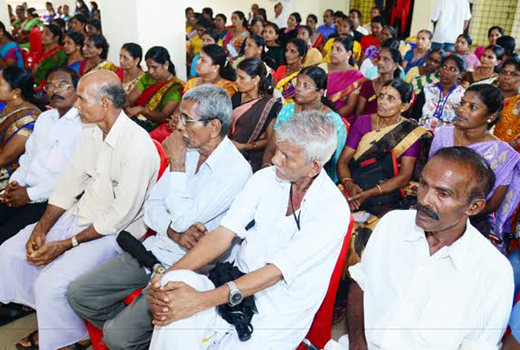 Fighting against the gvernment move is the only option left before beedi workers, said K R Sriyan, senior CPIM leader. 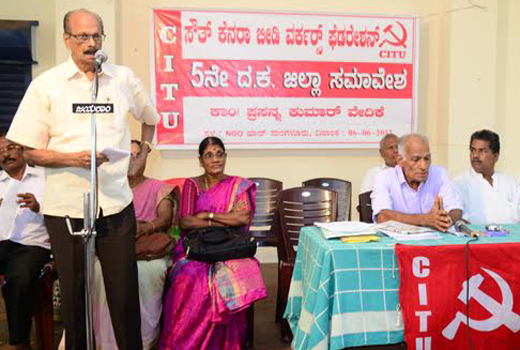 He was speaking after inaugurating the 5th DK District Convention of South Karnara Beedi Workers’ Federation organised by the CITU at the Prasanna Kumar Vedike of NGO Auditorium here on July 6, Tusday. Continuing, he said the Prime Minister who raises the Make in India Slogan however was encouraging more corporate companies while showing least concern towards the poor labourers and farmers. Along with protection of livelihood, workers are also forced to fight to save democracy, he added. 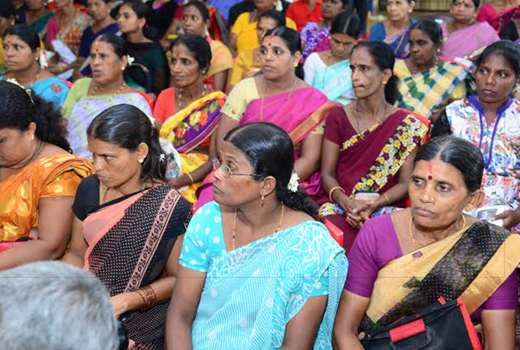 Senior Labour leader U B Lokayya presided over the function. 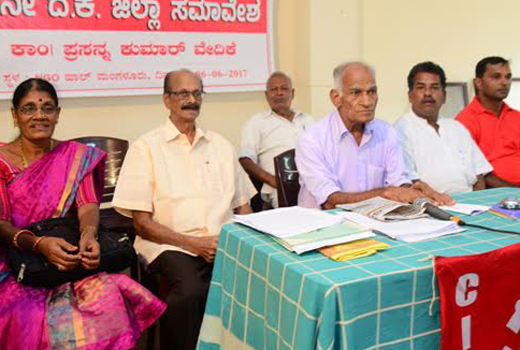 Sunil Kumar Bajal, CITU leader, Vasanth Achar, State Vice President of CITU, Jayanthi Shetty, former corporator and others were present.